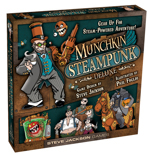 Daily Illuminator: Munchkin Steampunk Deluxe Available For Preorder! 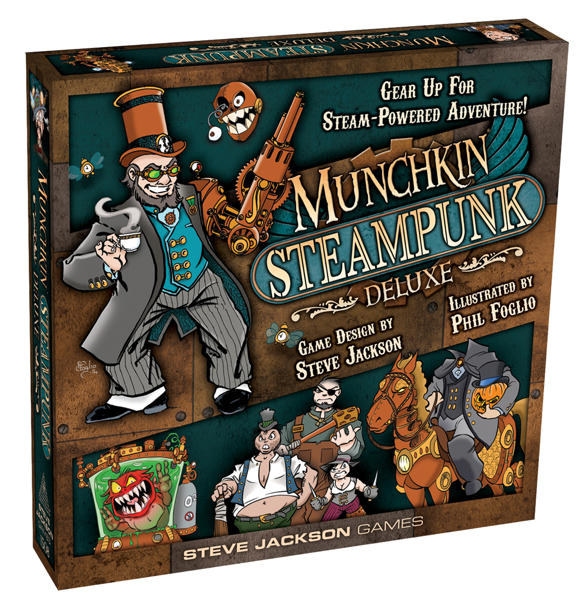 July 15, 2015: Munchkin Steampunk Deluxe Available For Preorder! Like the title says, you can now preorder Munchkin Steampunk Deluxe! If you want to guarantee your copy, just head on over to your Friendly Local Game Store (FLGS) and ask to preorder it. Alternatively, you can purchase it on Warehouse 23 and we'll send it to you when it releases, in August.